Here at Neil’s Hair Design, we pride ourselves on our ability to create the perfect look for our customers. We work closely with you to discover exactly what it is that you are looking for. Whether you need a trim or a completely new style, our highly trained and friendly stylists are here to help. We want our customers to feel special and our aim is to look after each and every one of you. It is important to us that you enjoy every second of your visit with us in Irlam and leave with the hairstyle you have been dreaming of. When it comes to styling, we always offer a consultation with our customers. We all believe that consultations should always be thorough and detailed. 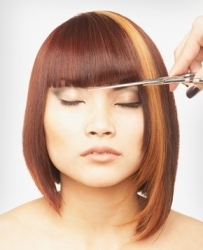 Our stylists discuss what the client likes and dislikes, ensuring that we can give you the best new look possible. We work in a relaxing and welcoming atmosphere, as we want all of our customers to leave here feeling pampered and indulged. Our highly trained and experienced stylists are fully qualified to create the look you are after. As a unisex hair salon, we have an extensive range of hairdressing services available to you. During your initial consultation, our stylists will always give honest and reliable advice. They will use their experience and knowledge to advise as to what style will work best. Whether you want something brand new and headline-worthy or something more traditional, Neil’s Hair Design are the only salon you will ever need. To book an appointment or to get your free, no obligation quote, please give us a call today on 0800 074 2829 or 0161 775 1138 to speak to one of our friendly team.